I decided to plane some wide walnut boards down that I have had in the shop for some time now, though I have yet to decide what exactly I am going to build. I will have to see how well they plane out first. You can easy see how rough the saw marks are on this board. 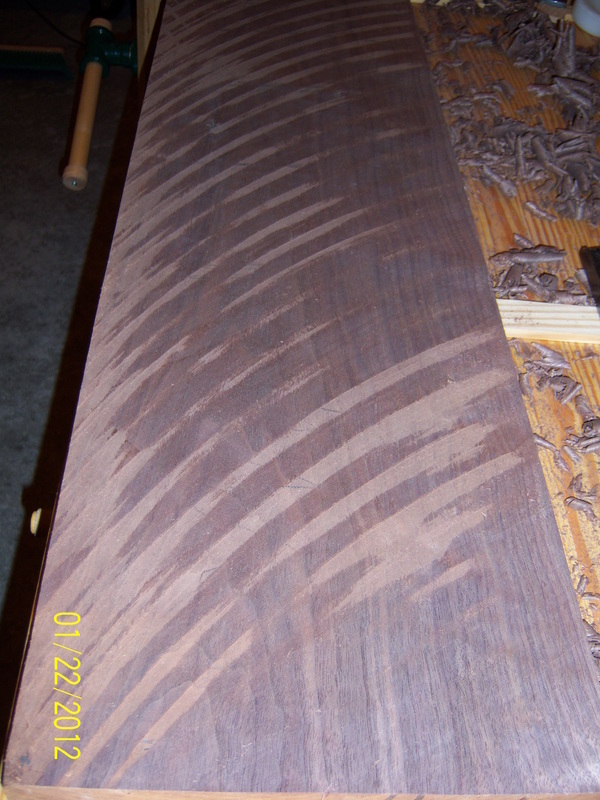 Planing each board will take some work and I have a total of four of these walnut boards to flatten by hand. Due to my jointer only being six inches wide I will flatten one side of each of these 11" wide boards with hand planes prior to running them through the planer. 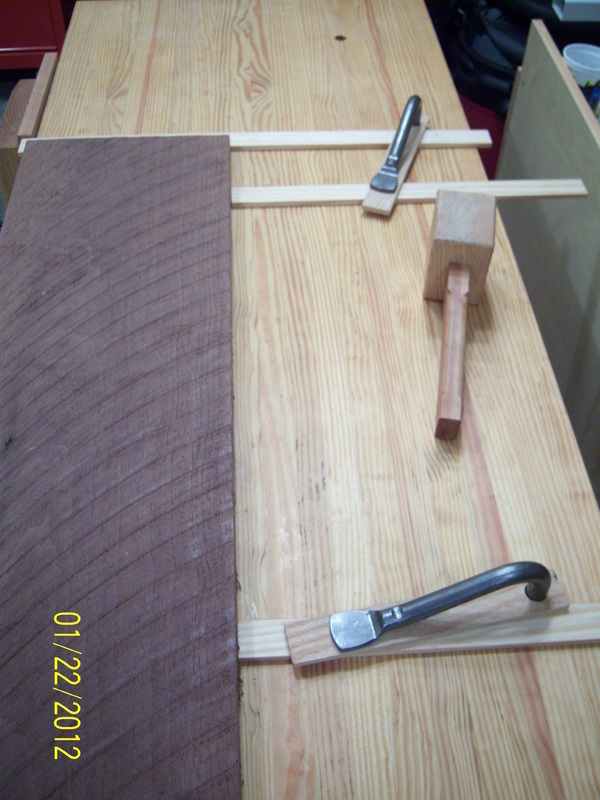 Here is a look at the batten setup that I used to hold the walnut board in place as I began planing. I also included a single clamp once in a while to keep the board in place depending on what area of the board I was working on. 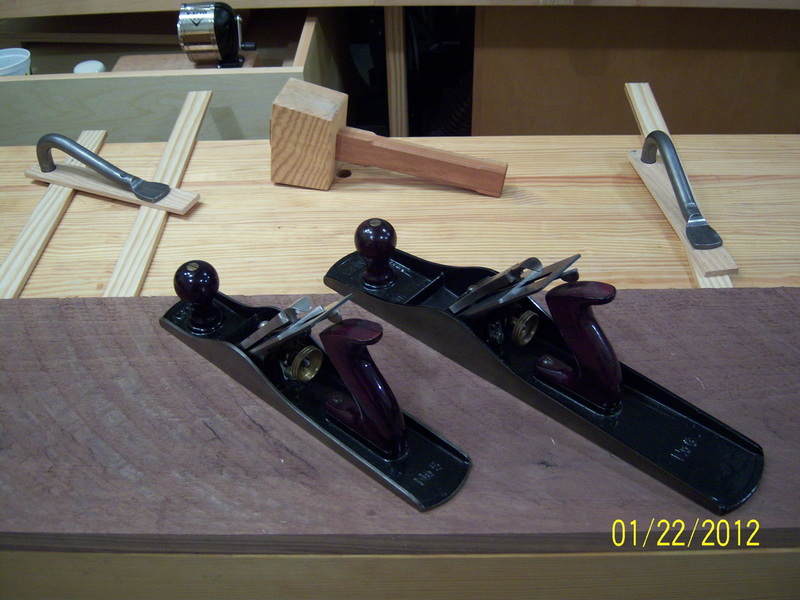 I initially thought that I would used the #6 fore plane (pictured on the right) due to the width of the board, but decided to use the #5 jack plane instead. 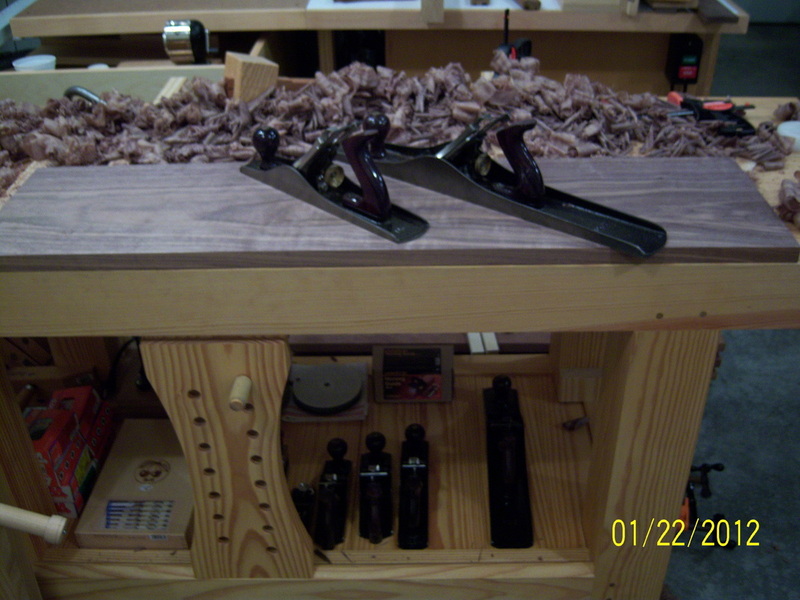 The main reason I chose to use the #5 jack plane was because it was lighter, less fatiguing, and easier to manuever. Checking often with a couple of winding sticks, I began to plane down the high spots until most of the board was level acrossed the face. 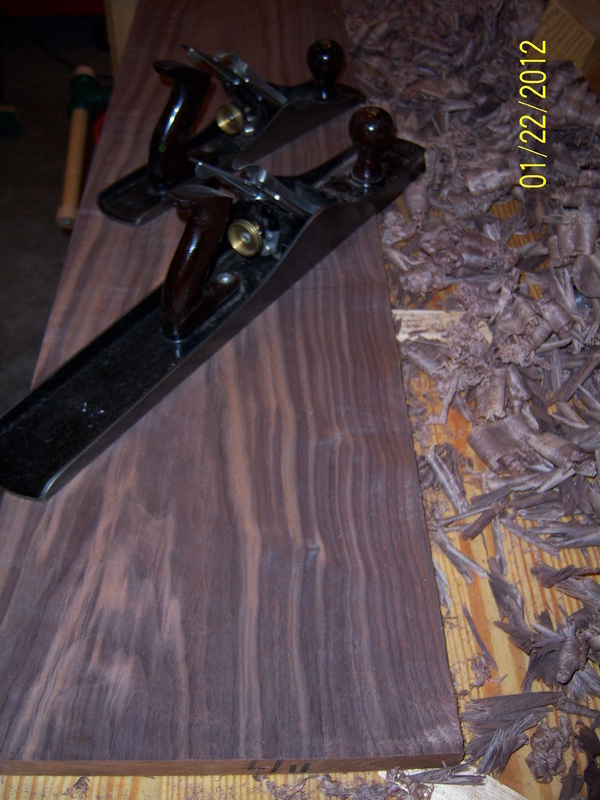 After six or seven passes directly across the face of the board with the jack plane you begin to see some of the beautiful walnut grain. You can also see how much more material has to be removed before this board will be flat. 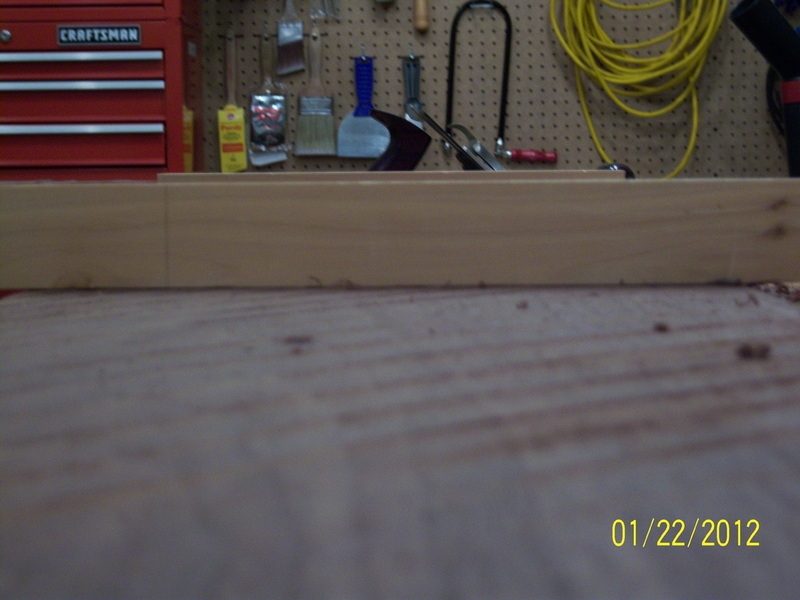 You can really tell from this picture how nice the grain in this board will be when it it properly finished. 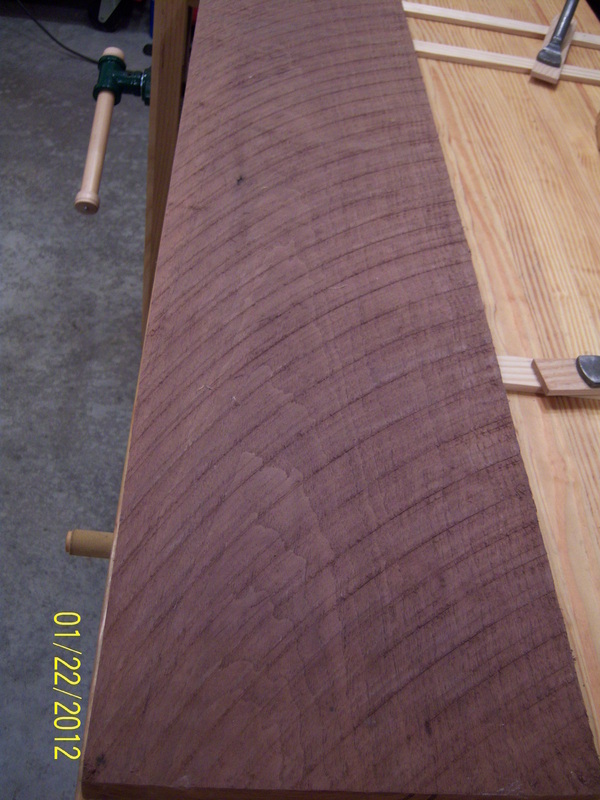 The contrast in the grain is very deep and is getting better the closer to being flat the board becomes. It took a while and the pile of shavings on the bench is about half of what was actually created. Though the picture is not the clearest, you can begin to see what almost looks like curl running across the board.